Monique Lhuillier’s Spring 2012 Bridal Collection has arrived and it is nothing short of breathtaking! I love the wide array of styles to choose from. From the modest bride to the fashion forward bride, there is something for everyone. If you thought these dresses were out of your reach, think again. There are dresses starting in the low $3’s and can be found in bridal shops in most major cities. If you are a local bride, check them out at The Bride Room. Enjoy a few of our favorites! My personal favorites…I am absolutely in love with these blush colored dresses. Inspired by the royal wedding? 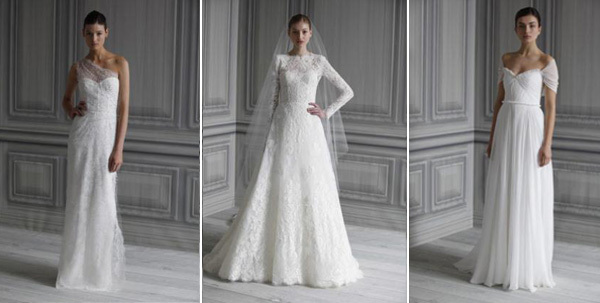 The middle dress is called “Catherine” and is the perfect dress for the more modest bride. 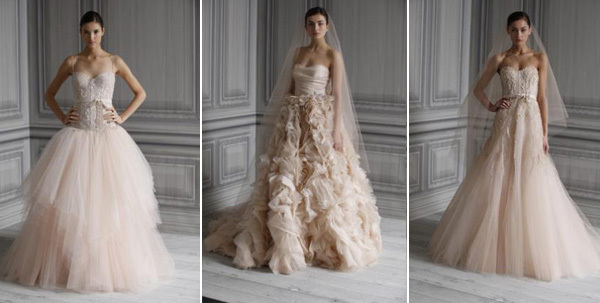 To view the full collection, visit Monique Lhuillier.